A slew of new releases and deals have been revealed on Major Nelson’s blog. Included in new releases is the long anticipated Skulls of the Shogun, a game we have waited a long time for. 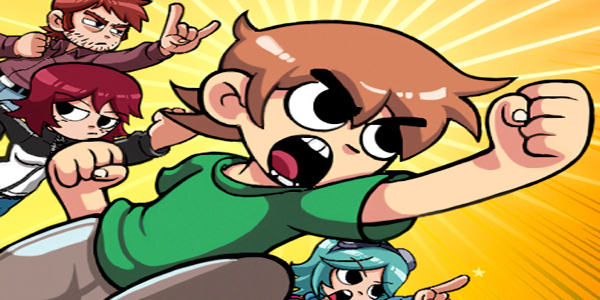 Also finally joining the party is the all-new Scott Pilgrim online multiplayer mode, plus Wallace Wells as a playable character. Lastly, for all you deal headhunters, you might want to check out Hydrophobia available for a measly 160 MSP. Now that the year 2012 has been set firmly in the books, the boys back at the lab have poured over the raw data to bring you the top arcade titles of the year. 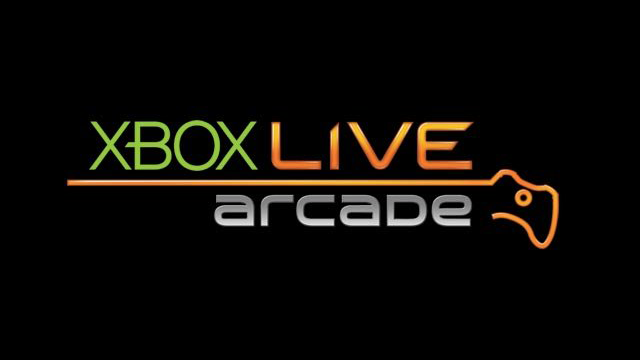 The figures, based on full versions sold, were tallied from January 1, 2012 through December 31, 2012, and made public thanks to Xbox Live’s Larry Hyrb. No surprise to anyone was Minecraft: Xbox 360 Edition topping the list this year. Having launched in May, the massive Minecraft community helped propel the title to well over 5 million downloads by year’s end. 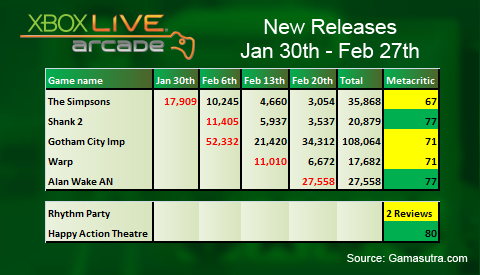 More impressively, the arcade adaptation outsold its robust PC cousin by nearly a million copies, securing Xbox Live Arcade as the fastest (legally) growing Minecraft community of 2012. Trials Evolution rode into the second spot of the year’s most-purchased title on XBLA, and despite the staggering difference between first and second place, did very well for itself. Our Game of the Year, The Walking Dead wrapped up the third spot thanks to critical acclaim and its infectious word-of-mouth campaign. Pinball FX2 and Counter-Strike: Global Offensive rounded out the top five, in that order. Amazingly, the never-say-die mantra of Castle Crashers has proven itself again; moving the sixth most number of copies nearly half a decade after its initial release. Filling out the top 10, in order, are: Gotham City Impostors, I Am Alive, Fruit Ninja Kinect, and finally, Tony Hawk’s Pro Skater HD. You can check out these titles in list form, along with the rest of the top 20, after the jump. 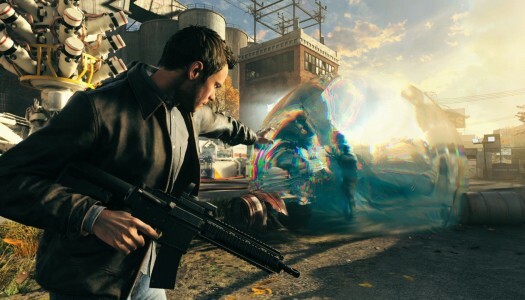 Gamasutra has published sales data for the month of February – a bumper period for Xbox Live Arcade that saw the release of heavy-hitters like Gotham City Impostors and The Simpsons Arcade alongside Alan Wake’s American Nightmare and Warp, the latter two as part of Microsoft’s annual House Party event. February kicked off with the launch of The Simpsons Arcade. The classic port accumulated a healthy 35,868 players throughout the month while also fending off other newcomers Happy Action Theater and Rhythm Party to become the best-selling title for its opening week. Straw Poll Wednesday: What was your favorite House Party game? We totally missed January, but the Monthly Recap is back for February! Yaaay. There’s an immense amount of news this month because for some reason February is XBLA month. There’s roughly a million game announcements and DLC as well. I suggest hitting CTRL + F and searching for the copious news about your favorite game. Or games. Or just read all the news, because that’s a good idea. Beyond the “things that happened”, there’s also several Friday Top Fives and Most Wanted’s this month as we continue to beef up our feature repertoire. Our chief feature, A Year In Review (2011) is definitely worth checking out for some insight into the fluctuations in XBLA cost versus review scores. Lastly, amongst the five podcasts is our Music Special which showcases some of the best XBLA soundtrack tunes since its inception.